Kitty Hawk and the Curse of the Yukon Gold had me interested right from the start when I read the blurb. The cover had me remembering my days of reading Nancy Drew. It is colourful and gives an impression like the book is fit for young adults or middle grade readers but as I proceeded with reading the book, I realized that this book doesn't fall in one readers' category. It can be read and enjoyed by anyone. The first half is a bit slow but nevertheless entertaining and very informative. Kitty's life in a small town, her parents' very learning stories about the tribes, nature and then the information of humpback whales had me visualizing a life of adventure like Kitty's and the thrill of watching the world while flying a plane! The story with the mystery really picks up in the second part and really made me relive my Nancy Drew reading days. The writing is simple and yet very vivid. Iain describes the small town of Tofino and then Alaska beautifully and was able to create a mental picture in my mind. The characters in the story are lovable people and ones I would love to meet someday. The only thing that could have been done better was making the first part more crisp and the story pace more quick. The first part, being very slow, had me questioning if I had read the blurb correctly and if this really was a mystery because no hint is given to any puzzles and mysteries here. So one has to persevere and enjoy the slow pace while learning and experiencing Kitty life before the mystery finds her! All in all, Kitty Hawk and the Curse of the Yukon Gold is an entertaining book that I enjoyed reading. This is a cozy story about love, family, aspirations, dreams and a puzzling mystery that is best enjoyed reading at a leisured pace with biscuits and tea. 4 out of 5 to it from me and recommended to readers looking for a different story with mystery but also travel to the lands of snow, ice, humpback whales, native Indian tribes, gold rush and mysteries. I will surely be checking out the author's other books in the series and wish him the best. I received the book from the author and his publicity partners and I am very thankful to them. The above review is my honest and unbiased opinion and in no way influenced. By the dancing dim light of the campfire, the group of men surrounding me looked demonic—light and shadow played off their features and made their faces seem lopsided and horrifically deformed. In such light every scene appears monochromatic, with every detail rendered in shades of only black and orange. True colors are sucked away, and objects are repainted in a hellish tint that makes every face look like a jack-o-lantern and the world look like something out of Dante's Inferno. "There you go again," the little voice inside my head nagged. "Always making comparisons to books that you've never read." "Shut up," I told myself. "This is hardly the time to be criticizing my choice of literary references." Besides, Dante was writing about hell, wasn't he? And the situation that I found myself in was surely the closest thing to hell that I could possibly imagine. The tallest one of the group walked over to get a better look at me. As he leaned in close, some dark shadows flickered hideously across his face and eyes and caused me to pull away in terror. I tried to push myself backward away from him, but it was difficult, considering that I was sitting on the ground and my hands were bound tightly behind my back. Every move that I made only pulled the binding tighter and made my wrists scream in agony as the wire cut painfully into the skin. "I never should have come out here," I told myself as the tall one stood up again and continued pacing back and forth, trying to figure out what to do with me. How could I have been so stupid? What had I been thinking, hiking around a deserted ghost town from the Yukon Gold Rush in the middle of the night? What made me even stupider was the fact that ever since I had first set off on my foolish quest, I'd felt a heavy, dark blackness filling every pore of the landscape. But instead of turning back and going home, I had stubbornly dismissed it as merely the dark shadow of the suffering and death that had occurred here so long ago, when thousands of souls had passed through on their way to the empty dreams of the Klondike gold fields. How many of those greedy fools had died chasing after those empty dreams? "I am no better than them," I thought. I was just as stubborn and foolish as they had been, and now I was paying the price for it. "I hate to say that I told you so," the little voice in my head said. "Yes, you did," I agreed. "But right now, that isn't helping. Right now we have to figure out how to get out of here, because these guys are a bunch of greedy fools just like the rest of them, and who knows how far they'll go to protect the secret of their gold." "What are we going to do with her?" the man with dark blonde hair asked the tall one, who was apparently their leader. The tall one thought about this for a moment, and there was a long silence, broken only by the crackle of the nearby campfire. My fear of his answer made my heart pound faster and faster. "There's only one thing we can do with her," he said slowly and deliberately, his voice ice cold and emotionless. I was terrified of what that meant, and as they continued to discuss my fate among themselves, I could feel the tears welling up in my eyes and my breathing becoming shallower and faster with every passing second. "I promise not to tell anyone," I thought, feeling completely helpless and considering the option of begging them to let me go. "I will promise not to go to the police if you just let me go free." "Don't be crazy," the little voice in my head scolded. "They aren't stupid. You discovered their secret! You know about their stolen gold!" I remembered a line from a poem that I'd learned back in high school—a poem about the Klondike Gold Rush and the lengths that men were driven to by their greed and lust for gold. "The Arctic trails have their secret tales," the poem had said. "That would make your blood run cold." That was exactly how I felt at that moment—as though my blood was running cold. I had discovered the secret tale that these men had tried to keep hidden, and now they had no other choice. They couldn't just let me go. They couldn't trust me to keep their secret. And now they had to deal with it. And that was the part that terrified me. The men continued their discussion, and a sudden outburst from the tall one broke my train of thought. The discussion had grown quite heated, and he'd finally put an end to it by holding up his palm and cutting off the blonde one in mid-sentence. "There's no other way," the tall one said simply. 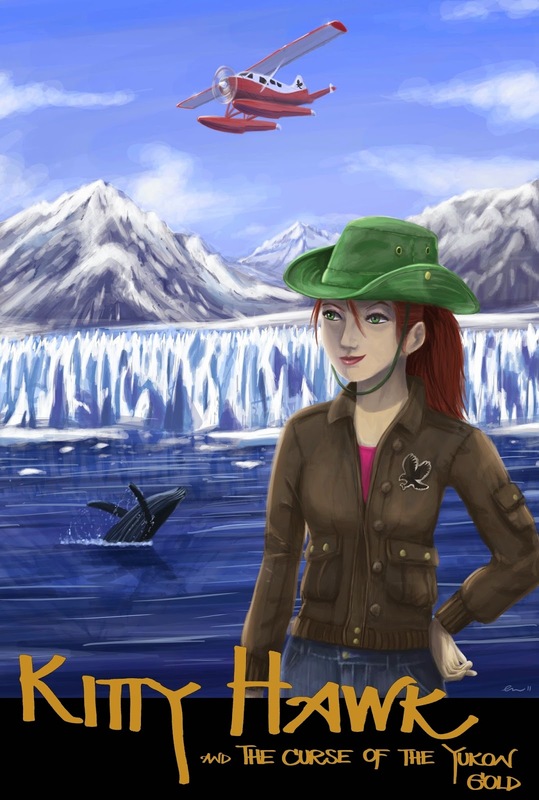 Win 1 paperback of Kitty Hawk and the Curse of the Yukon Gold by Iain Reading. Giveaway is excluisve to Njkinny's World of Books & Stuff. All the entries are mandatory. Please play fair. 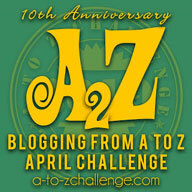 Entries will be checked while winner selection.